This resource provides thorough coverage of pharmacogenetics and its impact on pharmaceuticals, therapeutics, and clinical practice. 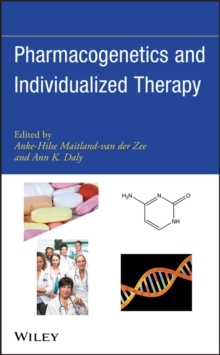 It opens with the basics of pharmacogenetics, including drug disposition and pharmacodynamics. The following section moves into specific disease areas, including cardiovascular, psychiatry, cancer, asthma/COPD, adverse drug reactions, transplantation, inflammatory bowel disease, and pain medication. Clinical practice and ethical issues make up the third section, with the fourth devoted to technologies like genotyping, genomics, and proteomics. In the fifth part, chapters discuss the impact of key regulatory issues on the pharmaceutical industry.